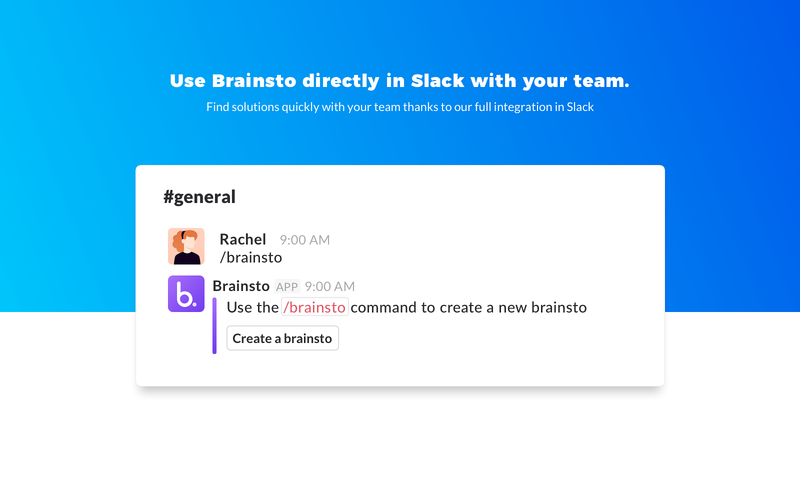 Brainsto is the easiest way to brainstorm with your team directly in Slack. Tap into your colleagues’ intelligence to find smart solutions to the problems you’re trying to solve every day. 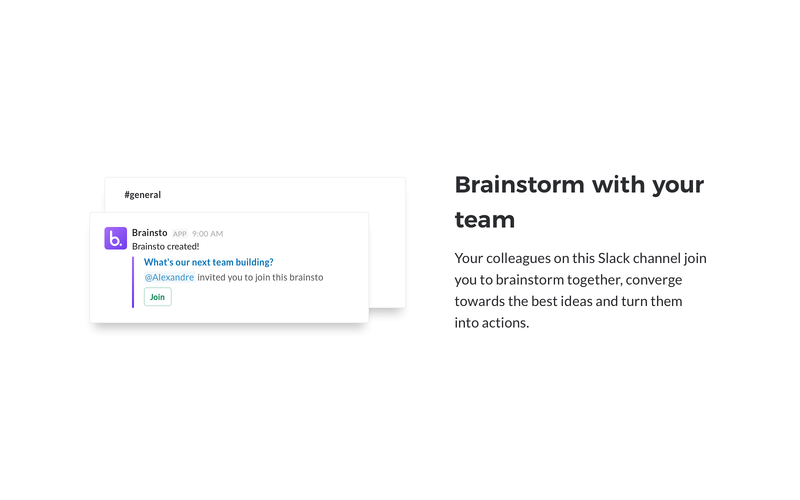 With the new Brainsto for Slack, brainstorming with your team to make the smartest decisions has never been faster and more efficient. So what problem are you trying to solve today? You and your team are going to nail it together in a matter of minutes by brainstorming directly in Slack. 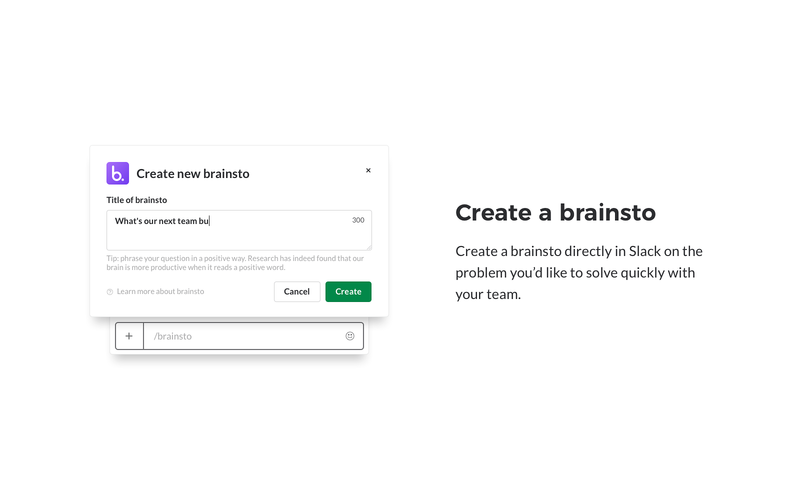 • Create a brainsto directly in Slack on the problem you’d like to solve quickly with your team. 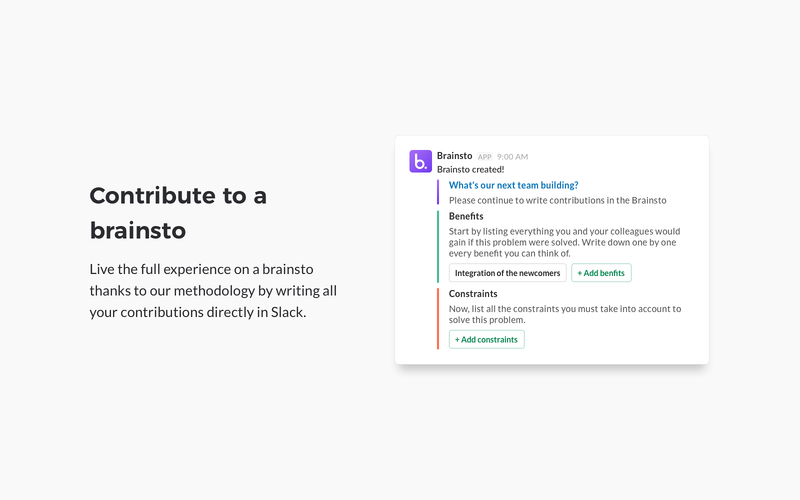 • Contribute to a brainsto by living the full experience of our brainstorming methodology by writing all your contributions without leaving Slack. 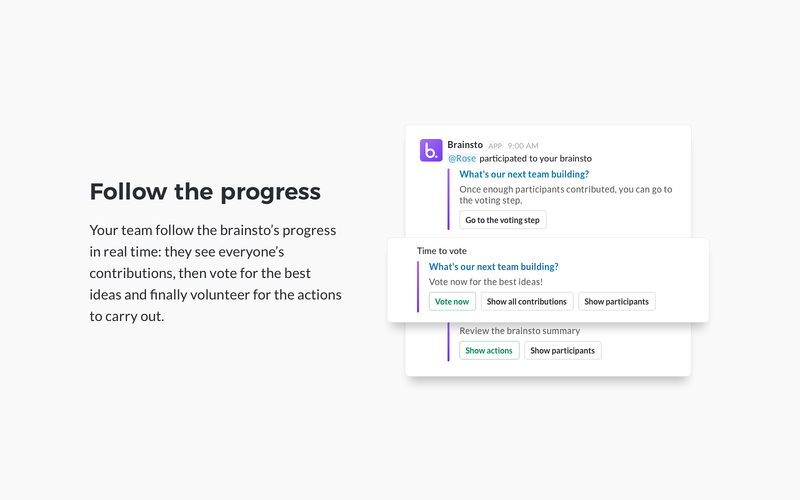 • Follow the brainsto’s progress in real time: your team brainstorms together, votes for the best ideas and finally volunteers for the actions to carry out. 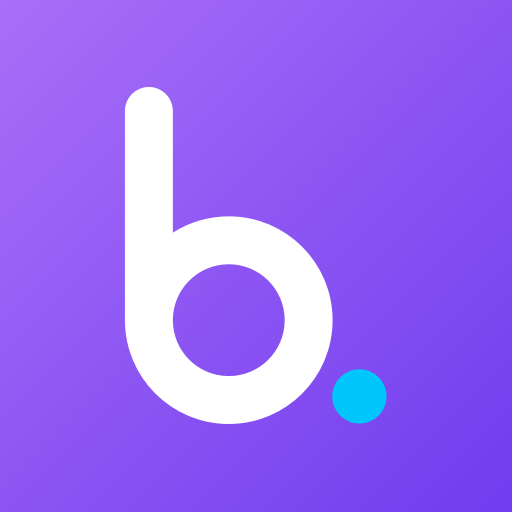 To learn more about Brainsto for Slack, visit our dedicated page. Brainsto will be able to view www.brainsto.io URLs to provide previews and other functionality. Brainsto will be able to view the email addresses of your Slack workspace’s members. Brainsto will be able to send messages to your workspace. Brainsto will be able to add link previews for messages containing www.brainsto.io URLs. Brainsto will be able to access profile information for all users on your workspace, including names and contact information. Brainsto will be able to install a bot user that appears in and has access to your workspace’s directory. It can also post messages and view activity on messages in any channel it is invited to.